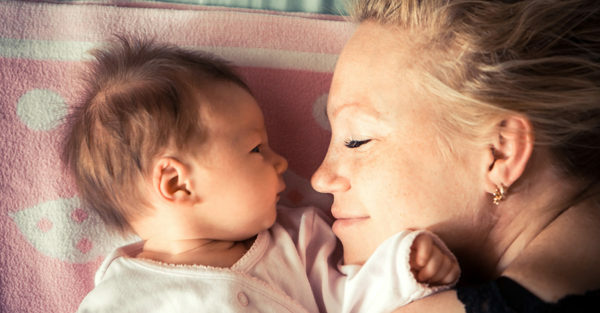 8 truths all sleep deprived mums need to read today - and remember! 8 truths all sleep deprived mums need to read today – and remember! There’s no doubt about it: getting up for your baby in the night is TOUGH. Even more so if your baby needs you repeatedly during the wee hours. And the thing about cumulative sleep deprivation is that it gets harder and harder to stay robust and cheery – ongoing lack of sleep will do that to you. In fact, it’s the emotional side of things: feeling frustrated, despairing and desperate that can make everything all the more difficult to cope with. Having been there myself with my own babies, I can sympathise with you – but more importantly, I can assure you that you will come out of this. There is a day coming for you in the near future where you’ll be sleeping at least three hours in a row, your brain won’t feel at all like soggy Weet-Bix and your skin will barely resemble the grey pallor you’re currently dealing with. You can do this, mama. By staying positive and reminding yourself of a few key things, you can blitz this part of motherhood. While your baby is new and young, it’s completely normal to wake often in the night looking for food and comfort – in fact, babies are biologically designed to do just that, and they don’t come with prior knowledge that the dark hours are for sleeping. Seeing your baby’s behaviour as totally normal and healthy might just keep your head above water. Although in the dead of the night, it can feel like you’re the only one not getting any sleep, I guarantee you that there are hundreds of other mums up in the night at the very same time you are. There’s probably even a couple in your street. And you can bet they’re feeling exactly the same as you. Your baby positively adores you for those extra moonlight cuddles. Believe it or not, night-time parenting is just as important as what you do in the day. So, even though you feel like a zombie operating in some sort of sleep fog, your baby is fully aware of your presence and the extra care you’re delivering, and is relishing in you. I know you’d do anything to get back into your bed, but when you think about it, those sleepy cuddles in the middle of the night are kind of special. Just you and your baby, in the stillness of the night, without any of the hustle-bustle and noises of the day. It’s a lovely time for some bonding, if you can keep your eyes open. Your baby waking in the night is NOT a reflection on you or your parenting. Seriously. By parenting your baby throughout the night, you’re offering love, security and warmth. Don’t let anyone tell you about bad habits and that you need XYZ book to help you teach your baby to sleep. Your baby doesn’t need a book – just you. And in that department, you’re nailing it. It really won’t. I know it feels like the interrupted nights are never-ending, but I really, really promise you that this bit will soon pass. In a few short months, these nights will be a hazy memory and you’ll be enjoying decent slumber with a new-found appreciation for your bed (which will feel like heaven-on-earth and weirdly sensual all of a sudden. You’ll see.). You’re a machine, lady. A few hours of missed sleep aren’t going to keep you down. Do whatever it takes to keep you going through those hazy days when you’re surviving on four hours of broken sleep. Drink coffee, get fresh air, accept help, leave the house-tidying so you can nap. You’ve so got this. Ha! Fat chance, I hear you say. But just you wait and see – when your baby’s nearly one, you’ll look back on these times and physically ache for those long moonlight cuddles with your tiny baby. You might even start thinking about having another one just to relive the magic.